I’m still exhausted and aching from last weekend’s disc golf adventures. This past Sunday, Justin and I got in 54 holes of disc golf in a matter of one afternoon/eve. We played 3 different courses in 3 different cities–a little DG course tour if you will. Living in the ATL metro area, we are fortunate to have quite a range of courses within an hour or so’s radius. Sunday noon we started at Sequoyah Park in Canton, GA. I’d played there once before and didn’t too so hot, so I wanted to give it another shot. My score?… Add another stroke to my previous round there. Sequoyah’s a mostly wooded course which I haven’t been used to. After we finished up at Sequoyah, we drove about 12 mi. southeast to Alpharetta to hit up Wills Park. First time to play this course, it’s now one of my favs so far. Wills Park has an even mix of open and wooded fairways. The back 9 are by far the hardest, being through thick wooded areas of the park. Both Justin and I shot fairly well here considering first time to the area. We get to #18, its 320 ft to the basket. My first two shots are terrible–the second shot landing in the creek bed. Here I am ~90 ft. from the basket shooting for par. Using a Leopard 166g, I let it rip up and to the left. Watching it as its flying towards the basket, I knew this would going to be hella close. Then… caCHING, the chains rattle and it lands right dead center of the basket. Hah PAR from 90+ ft! That’s the furthest I’ve hit one from yet. It was ridiculous. The pic below was taken from where I threw it from. Finished up +7 at Wills Park. With still 3 hours to spare of daylight left, we had to play one more round somewhere else. We drove another 8 mi. south to East Roswell Park in Roswell. We’d each played once before but its by far the most difficult course we’d ever played. Playing from the back black tees, its a very tough course through thick woods with very narrow fairways in some spots. Started off alright, then went downhill from there. I think I finished up some +13 over. A lot better than the first time I played there, but still need improvement. Overall, good weather and a great weekend to be out playing. Looking forward to this weekend with two more courses. 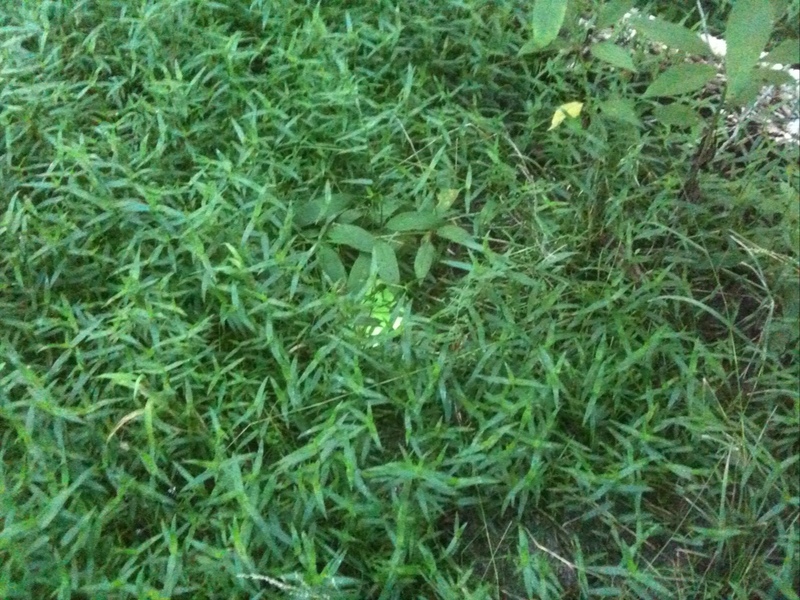 Spot where I was standing when I hit my ~90 + ft. shot.